National Skin Cancer Action Week is coming up from 18-24 November. It is a timely reminder that we need to get ready to prevent sun damage this summer. 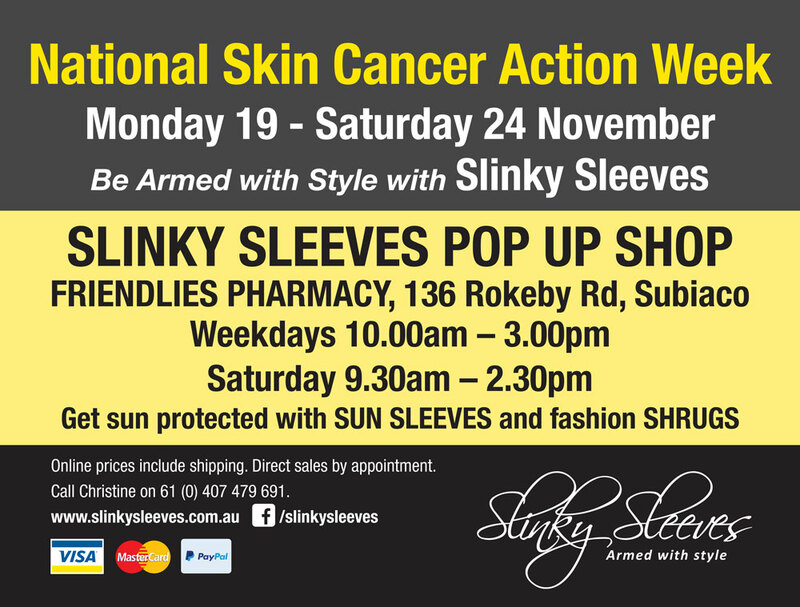 You can order your products online http://slinky sleeves.com.au or for Perth residents Slinky Sleeves is having a Pop Up Shop with sun protection sleeves for all the family, face shades and shrugs outside Friendlies Pharmacy in Rokeby Road, Subiaco from 19 -24 November. My special message this year is to start children wearing sleeves at a young age and avoid the pain later. Baby boomers know well the consequences of a childhood spent blithely lying in the sun for hours – with usually just zinc ointment on the nose and regular peeling from serious sunburn. Nobody knew back then how it could come back to bite us as skin cancer. Check out the ‘cool’ range of Slinky Skinks for boys and Slinky Sleeves for girls. If you have any queries on sizing just email us at: info@slinkysleeves.com.au with your wrist and bicep circumference in cms. “Ideally it would be great to see parents and grandparents as role models, putting on sleeves as part of the Slip Slop Slap sun protection routine,” says Slinky Sleeves founder Christine Silbert. Getting your skin checked regularly is also VIP. 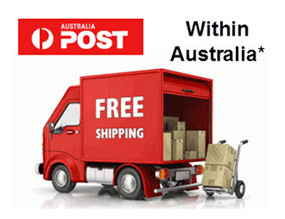 I have identified over 40 skin check centres across Perth and I am sure there are many more. It will be similar in other States, so it is easy to get checked!